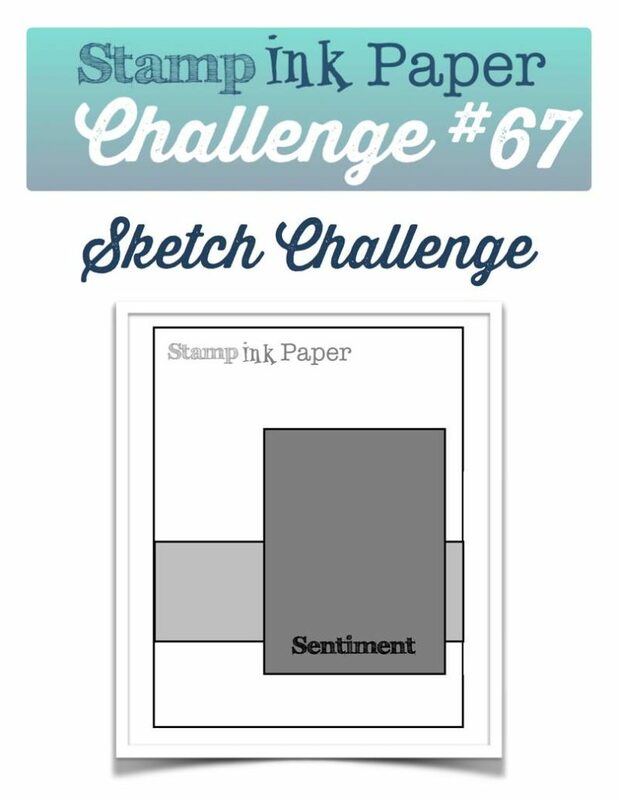 SIP Challenge 67 – A Sketch! 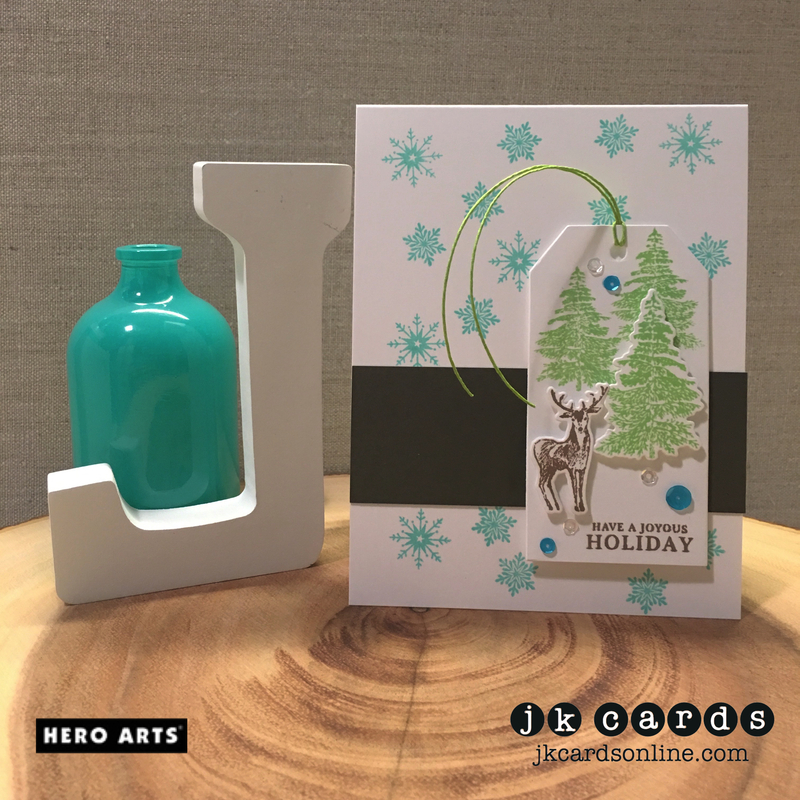 Home / American Crafts / SIP Challenge 67 – A Sketch! This entry was posted in American Crafts, Blog, Cards, Crafts, Embellishments, Hero Arts, Photopolymer, Pretty Pink Posh, Stamps and tagged Card Making, Crafts, Hero Arts, Holidays, SIP Challenge. Bookmark the permalink. Very cool card, Justin! 😉 The tag is a perfect substitute for the rectangle on the sketch! I love it! I am disappointed that I won’t be going to the Mama Elephant event this year, but I will be in Ohio for Family Weekened so it’s all good! Love this card! Great Christmas card. And the background rocks with those trees and the deer on the tag! What a creative take on the challenge, Justin. Your card great with the scene on the tag. Had I put those colors together, it would have looked like a hot mess, but when you do it, it creates a beautiful card. Go figure!! I know it’s called talent and I didn’t get my full portion. LOL Have a great day, my friend. Are you looking at me . . . that is what the deer is thinking! I just had to LOL! I like that tag totally, the placement of the stamps and pop-ups are perfect. Thank you Grace! The card made me think of you! I’ll bet you have see some scenes just like that one from your window! Ahh, that’s a great idea, I’ll have to remember that the next time I use a tag on a card! I have done removable things with magnets before! I really do love my sequins! They just add a little something, everything looks better with a little sparkle! Sorry, I really can spell. Apple picking.